An unknown beauty being plucked from obscurity to walk designer runways is a fashion tale as old as time. 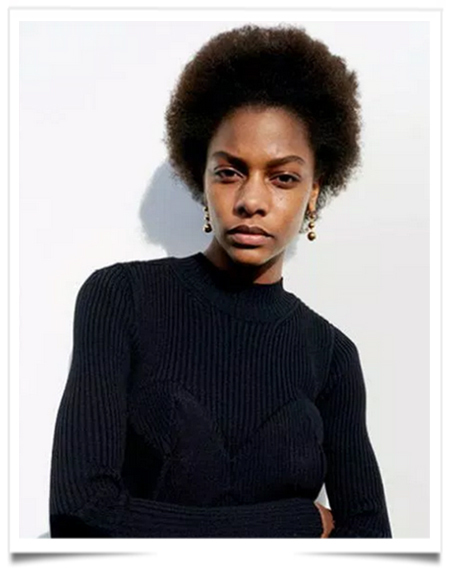 But when applied to the new face of Céline’s Fall 2015 campaign, Martinique’s own Karly Loyce, it seems like a story we’ve never heard the likes of before. The new fashionable model of Céline after Daria Werbow and Joan Didion is Karly Loyce, a young student in biology coming form La Martinique. She was spotted by www.theinfliuencer.info and the new brand creative director at her first catwalk. La Martiniquaise who will represent the brand during the Fall/Winter 2015 campaign is photographed by Juergen Teller. There is something terribly wrong. We have a president and a first lady who are black. You would think things have changed, and then you realize that they have not. In fact, things have gone backward. This entry was posted in BREAKING MODE, BREAKING NEWS and tagged PARIS FASHION WEEK 2016 by admin. Bookmark the permalink.